Customers are constantly searching for more personalised experiences. 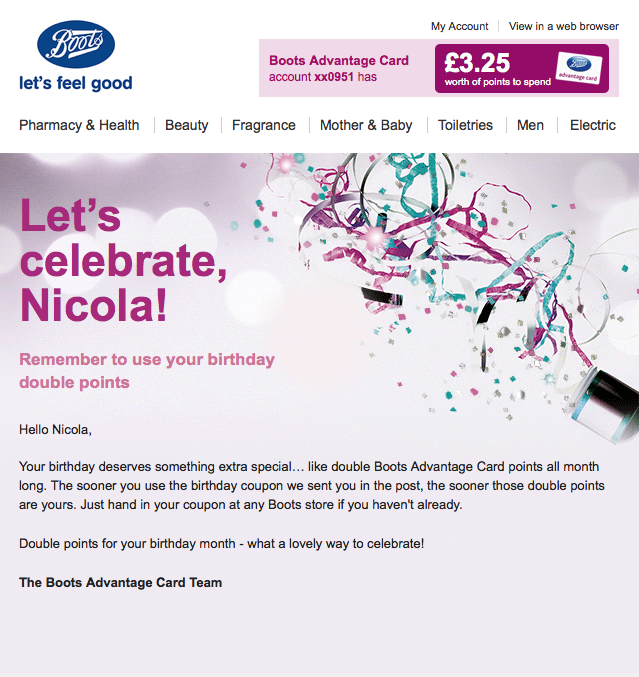 Automated emails, usually triggered by a customer’s actions, are timely, relevant, and personalised. Because of this, they get clicked on more than other types of emails. In fact, automated emails get 119% higher click rates than broadcast emails. This first point is pretty much a given, or at least it should be. If I sign up to a site or a newsletter and I don’t receive an automated welcome email, alarm bells start ringing. 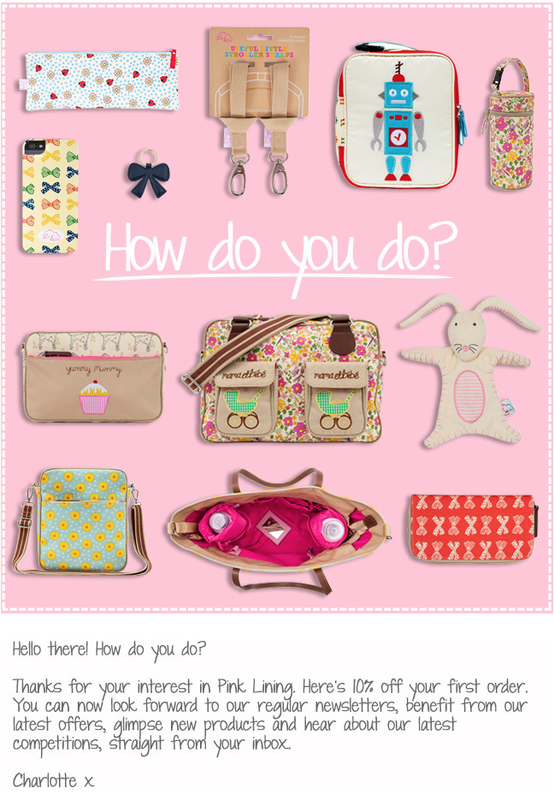 A welcome email lets customers know that you are professional, but also friendly. It shows that you care about their custom and that you’re available. It’s simple, friendly, and well branded. The company takes the opportunity to showcase some of their products whilst also offering their new customer 10% off their first order. 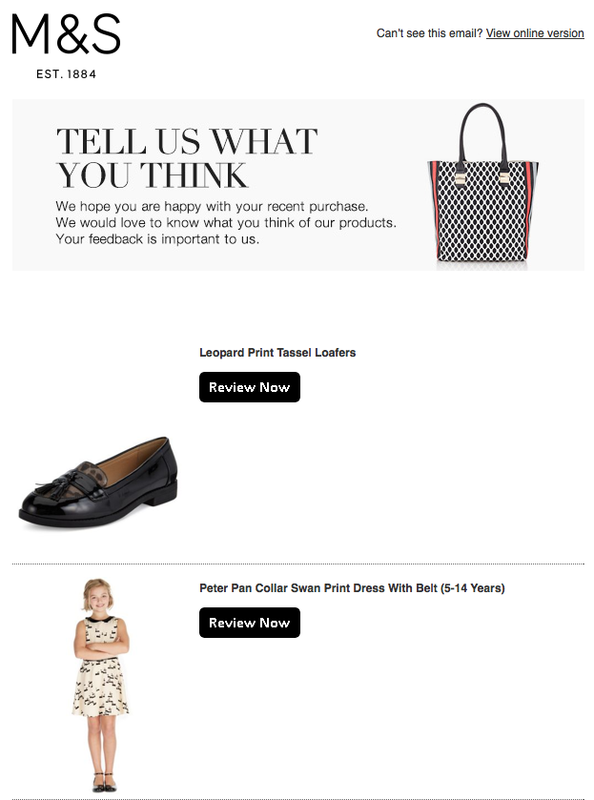 Welcome emails, such as this, set the expectations for the rest of your brand’s relationship with the customer. That’s why it is so important that you make a good first impression. With the rise of social media, customers now expect to be responded to quicker than ever before. Recent studies have found that 41% of consumers expect an e-mail response within six hours. Not exactly as eye-catching as the welcome email above, but they do exactly what they are supposed to. They thank the customer for getting in touch, and ensure them that their query will be responded to. The second example even gives a timeframe for the response, and also a list of FAQs that the recipient may find helpful. This kind of twenty-four hour support is just another way you can use automated email to show your customers that you care. Shopping cart abandonment is a problem that all online retailers have to deal with. And, with 67.89% of shoppers (on average) abandoning carts, it’s a pretty big problem. This email works because it’s polite. 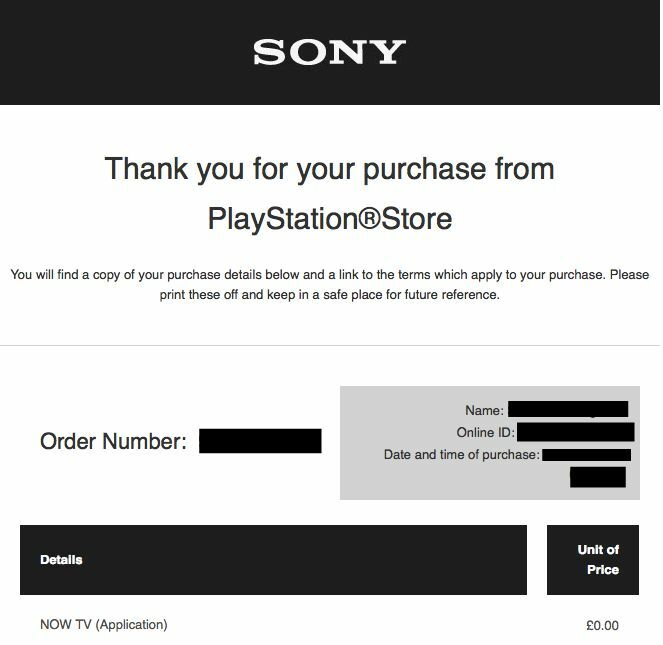 The email isn’t pushing for a sale, its simply reminding the customer that there is still an item remaining in their cart. 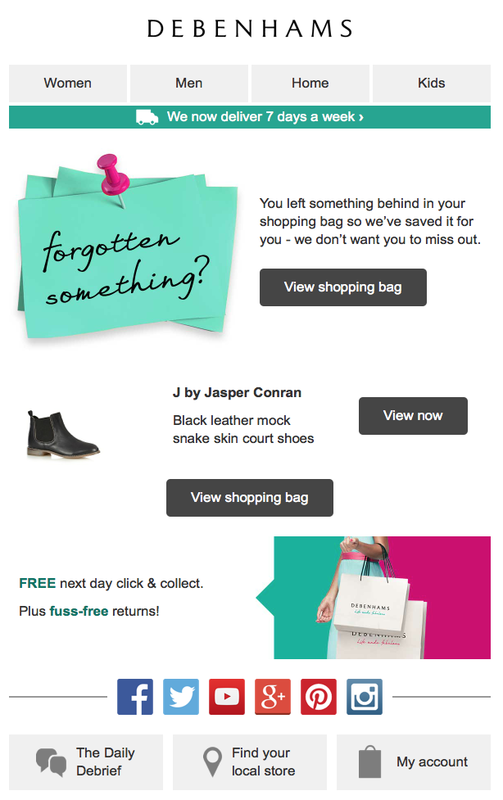 Considering that abandoners spend 55% more when remarketed, this is a great reason to begin creating automated emails. If customer retention is important to you (and it should be!) you’ll know that your contact with a customer doesn’t end once the transaction is complete. 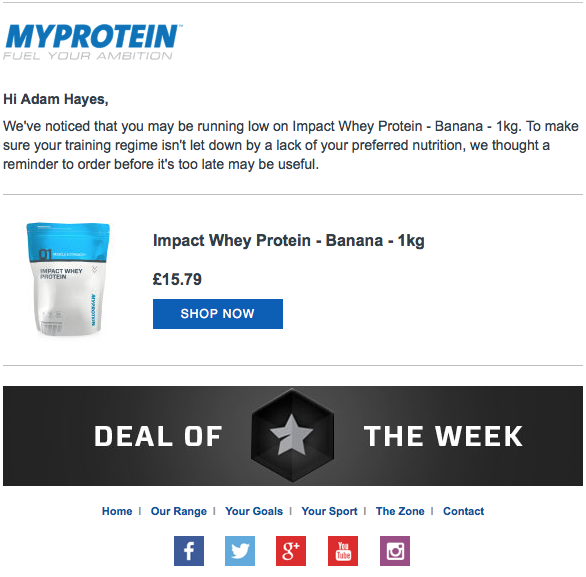 This is a great example of using email automation to give awesome after-sales care. 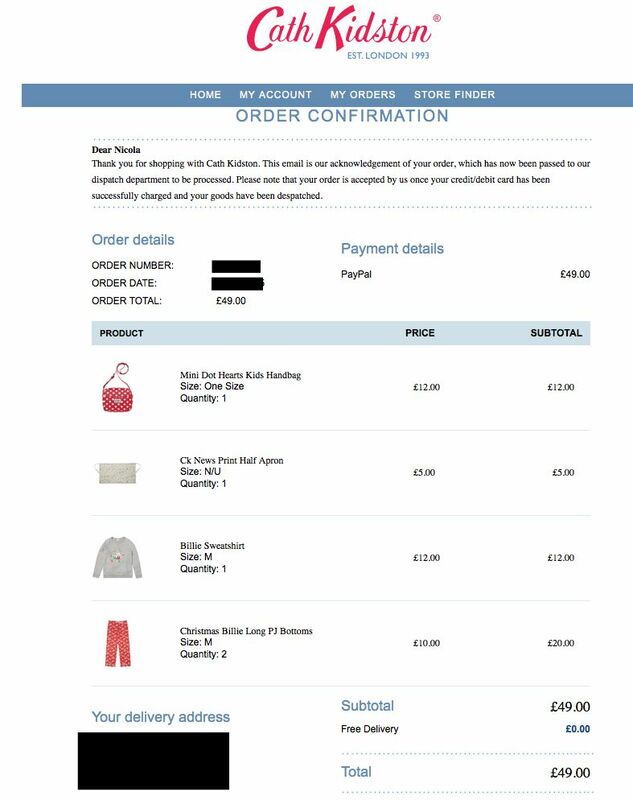 All the company had to do was calculate when the customer’s purchase was likely to run out and set up an email for that date to ensure that when the customer needs to re-order, their brand will be top of mind. 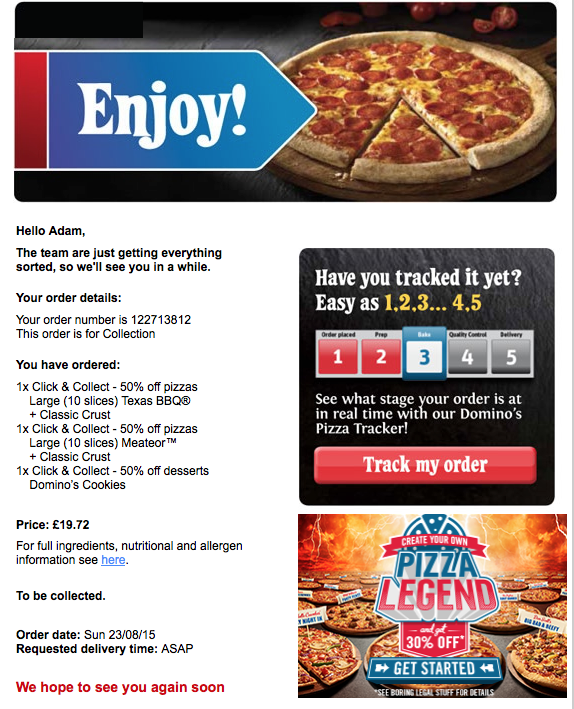 Is there any better email than the one that tells you your order is on the way? Emails that offer peace of mind can often be seen as the difference between mediocre and excellent customer service. It is important for emails like this to be automated as they are time sensitive. The customer needs to know exactly when the payment was processed and when the order will be dispatched, not only for their peace of mind, but so that the transaction runs smoother. 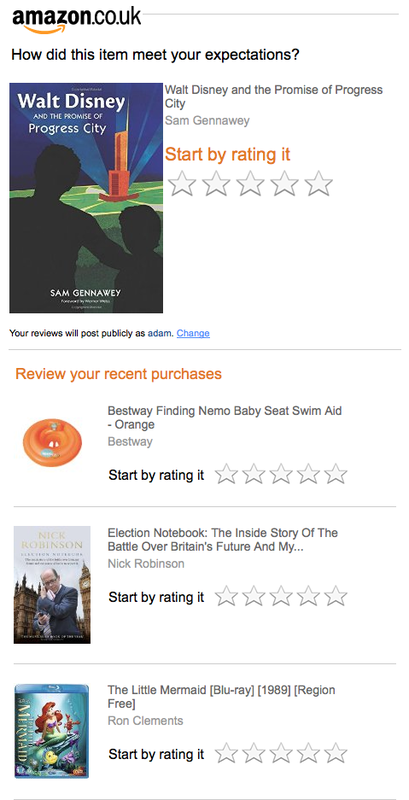 An added bonus of setting up automated emails is the fact that you’ll never miss a big event. Forgetting a birthday is enough to put a strain on the strongest of relationships, and with a relationship as fickle as the one between brand and customer, it can quickly become a make or break situation. 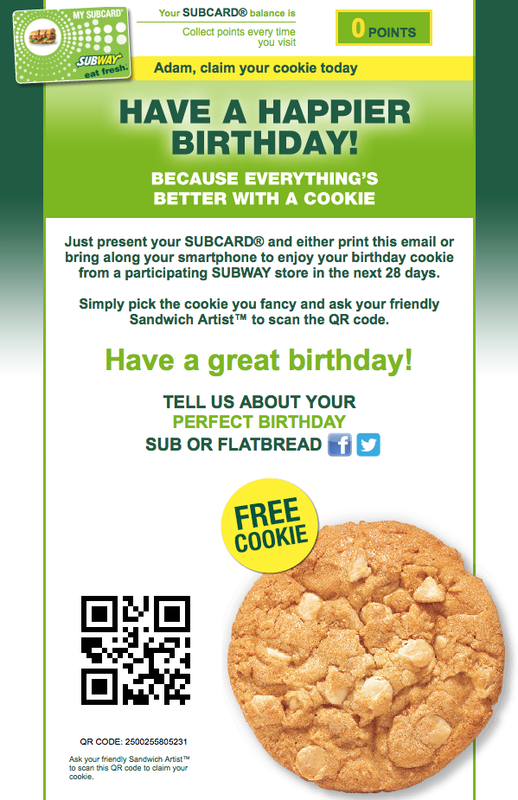 Of course, birthdays aren’t the only important event in your customers’ lives. Consider sending automated emails on public holidays, on the anniversary of the day they joined your site, or for any other reason you can think of! 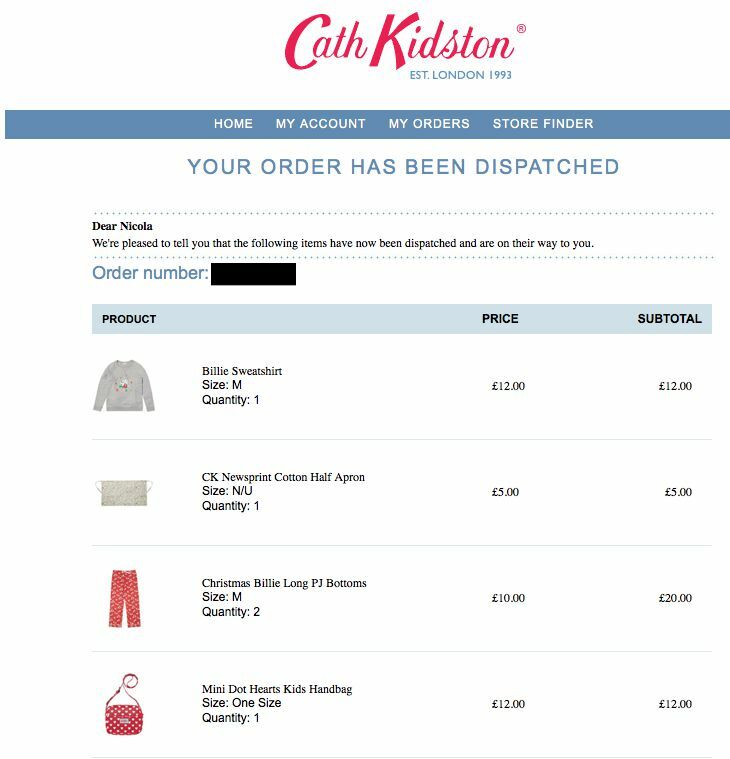 This email has grouped several transactions together to make it easier for the customer to give feedback on different items. Automated emails are an absolutely vital component of your email marketing strategy. However, alone they are not enough. In order to boost your revenue and further increase engagement with your customers, automated emails must be used alongside various other types of emails, such as: newsletters and transactional emails.